Set is all 3 TTT bags (TOP DRAWER, 2nd DRAWER, and DEEP DRAWER), plus two large TTT Shoe Bags and 20 Drawer Labels (with a small labels pouch). Travel accessories ideal for long journeys / adventures, getaways, camping, gym habits, weekenders, gap years, and last but not least, business travel. This is our best value. BUY it. Items in the set are described below. The full set is pictured above. Because of their unique design, they are much more versatile – and addictive – than silly packing cubes. Two pockets, zipper closure on each end. 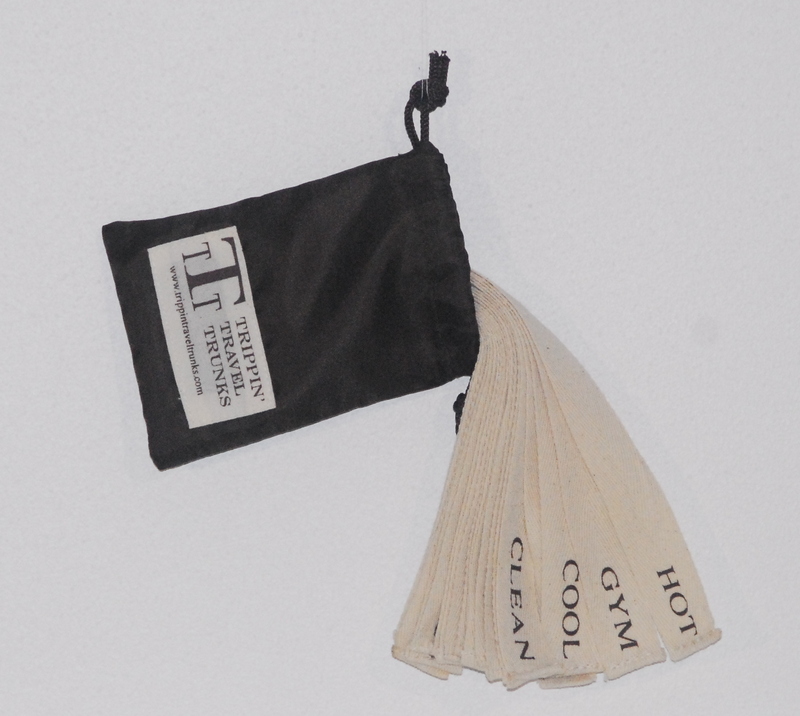 Able to be hung horizontally on a hanger using both straps, or vertically from a single hook. Also lies flat. Ideal for smaller items such as under garments and socks. With lining. With two pockets, it lies flat like an envelope, hangs from the middle strap, can be thread through a hanger, or can be thrown over the back of a chair or a bar. 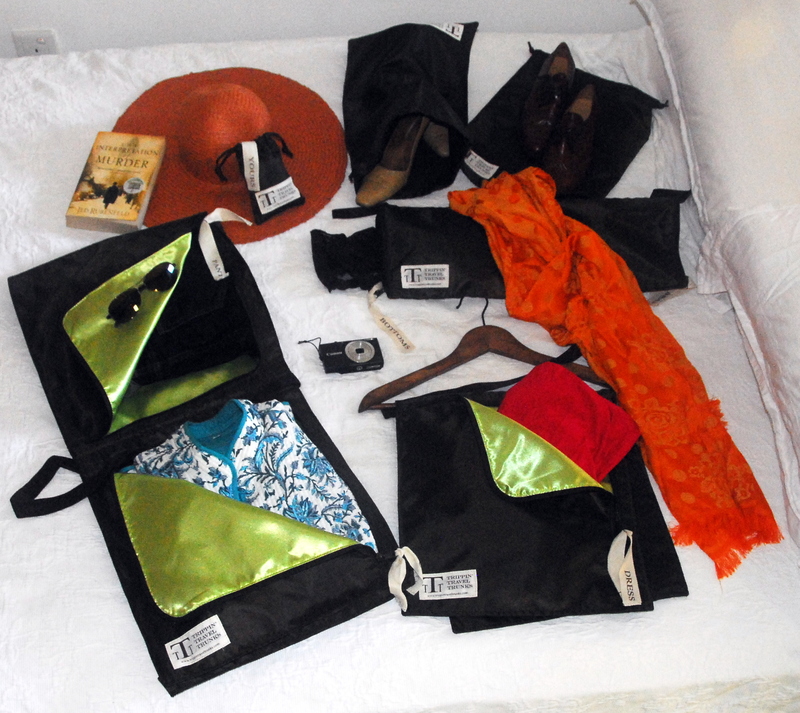 This allows for easy access to items, without removing them from the bag. Zipper opens on only two sides of each rectangular pocket, so items won’t fall out and packing is quick and easy. Because the bag is flat, it can hold items snug, which means less wrinkles. The silky lining also helps with this. Ideal for a long weekend away. Put tops on one side, and bottoms on the other. Identical to 2nd DRAWER, but each pocket is 10 cm deep, which means you can fit bigger or more items such as towels, pullovers / sweaters, and extra clothes. The same middle strap is useful for carrying on your shoulder, too, should the need arise. Ideal for longer trips, bigger people and bulky clothing. 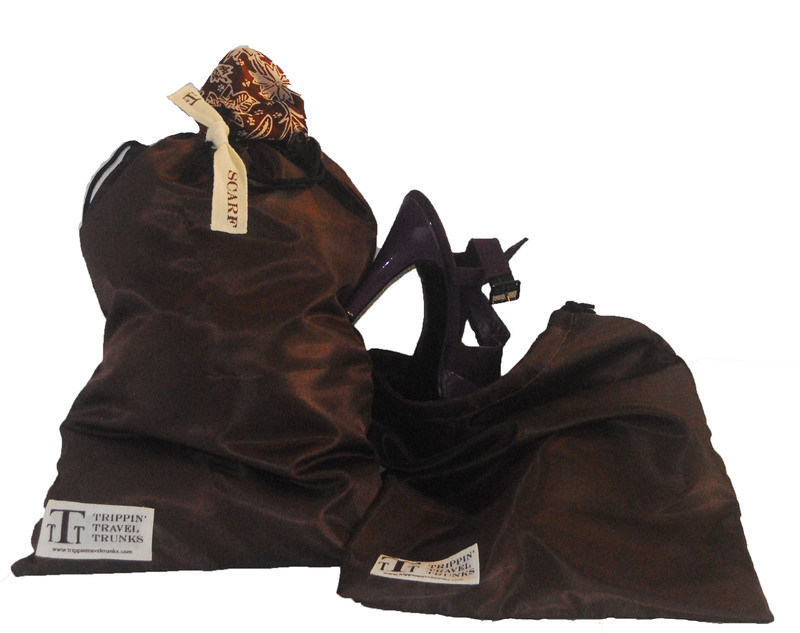 Extra roomy shoe bags that could easily be used for a scarf or other items, and the TTT Set comes with two, instead of only one, so you can pack one two on each side of your suitcase. Ideal for packing 2 shoes in a suitcase, carrying a pair of shoes in a shoulder bag, or keeping a scarf clean or snag-free in a shoulder bag. 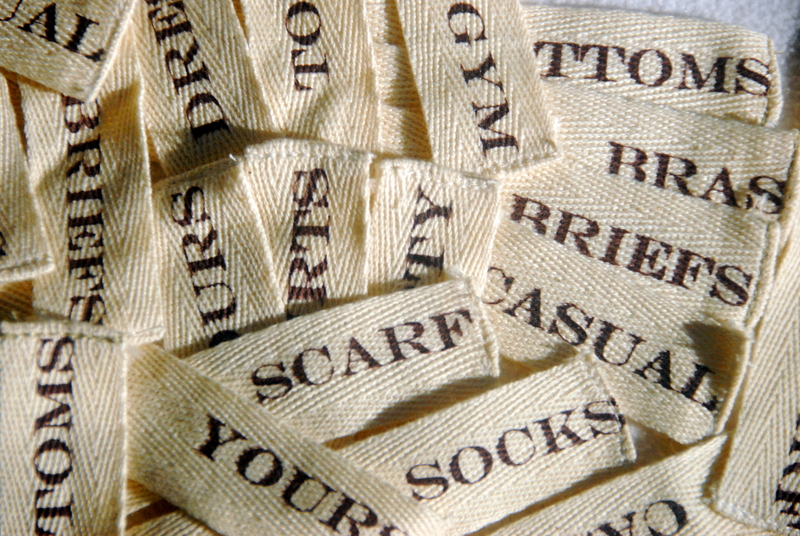 Drawer labels are made of soft cotton and are easily pulled and knotted through the zipper pull eyes, for easy identification of 20 purposes (clean/dirty/top/bottom/dress/gym/mine/yours …. etc), screen printed in dark chocolate brown. To shop for the TTT set, click here.